When you have a major conflict with a romantic partner, such as a betrayal or another serious transgression, there’s a good chance that a breakup is on the horizon. But when you clash in a similar fashion with a friend, the way in which to proceed with the relationship is often a bit blurrier. Depending on how close you are and the severity of the falling-out, you may decide to work through the issue instead of calling it quits. This is especially the case if you’ve been friends for years or even decades. 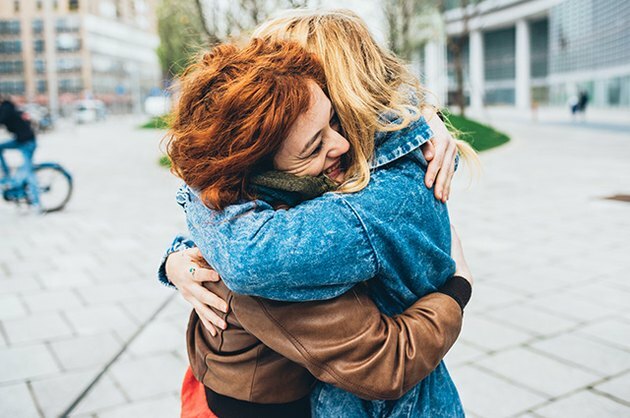 Here’s how to pull through the situation, move forward and, hopefully, renew your friendship so it’s even stronger than before. Before anything else, ask yourself if this is a relationship that can be fixed — and if you even want to put in the work to repair it. You may decide that the friendship isn’t salvageable, even if your friend meant a lot to you at one point in your lives. If this is the case, give yourself time to process your feelings. 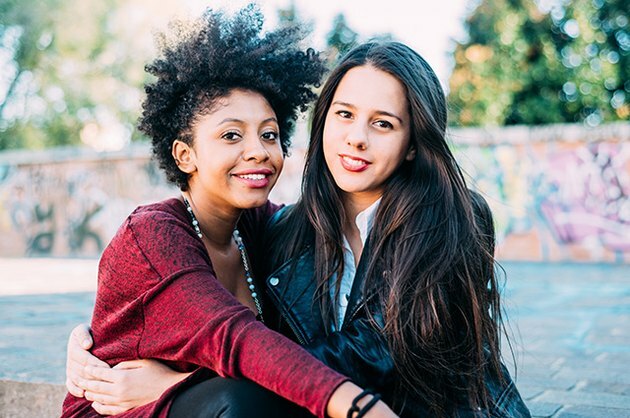 “If you either decide you do not want to work things out with your friend or she doesn’t want to discuss what happened with you, give yourself permission to grieve about your friendship,” she says. Or you both may just need time. Yager says that you can take a break from this particular friend but leave the door open for revisiting the friendship down the road. “People can change, circumstances can change, or you can have a different ‘take’ on what happened that might lead you back to this friend,” she explains. Even if you weigh the situation and want to repair the relationship ASAP, don’t jump into the process just yet. First, take a couple of days to cool off and process your emotions. Just be sure that you don’t wait too long before reaching out to your friend to talk, Levine adds, since misunderstandings can fester over time. Set a time with your friend to talk over the phone or in person. Avoid sending an emotionally charged email unless that’s the only way you can discuss the situation. If your friend was responsible for the falling-out or for hurting you, give him or her the chance to explain what happened. There may be information or circumstances that you’ve overlooked or haven’t considered. For instance, Yager gives an example of a more mild conflict: Your childhood friend didn’t invite you to her son’s wedding, and you feel left out and jump to conclusions about your relationship. But, in talking to your friend, you learn that the bride’s family had very strict guidelines in terms of how many people they were allowed to invite. She wishes she could have included you, but it just wasn’t possible. Allowing her to explain the situation shows that there was no malice or oversight. If you’re the one who caused the conflict, apologize genuinely and swiftly. Whether you pick up the phone or send a handwritten note, just do whatever it takes to get your message across. Let your friend know that you want to make the effort to hear his or her side of things and explain yours so you can create a foundation for renewing your friendship. At this point, you both still may need some time to process the discussion or even talk more about the situation. 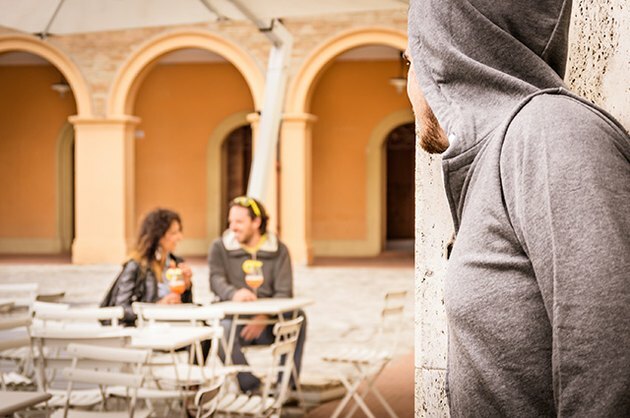 Maintaining open, honest communication in the days and weeks after hashing it out will help prevent further misunderstanding or hurt feelings. Regardless of who hurt whom in your conflict, you can use what happened as an important learning experience that will strengthen your friendship and provide a chance for self-improvement. “Even if you were the one wronged and your friend betrayed you, at least use this as an opportunity to examine your own behavior to see if you unwittingly contributed to what happened or if you could have handled things differently,” Yager says. What was the fight or falling-out really about? What will help you avoid a similar conflict in the future? 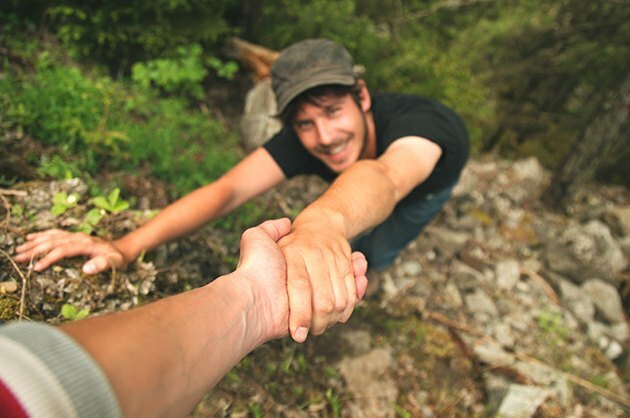 Do your friendship skills in general need work, independent of this particular conflict? Doing this will allow you to find clarity about your overall attitude and actions toward those close to you, which will help you become a better friend both in this relationship and others. Once you’re both ready, it’s time to move forward and repair the friendship. But recognize the fact that rebooting your relationship will take time. One thing you’ll need to think about is whether you’d like to ease back into the friendship or if you’re ready to jump back into to the frequency of interaction and level of intimacy you had before. Of course, if the group option appeals to you most, it’s imperative that you both agree that you’ll not talk about what went down between to you with mutual friends, Zangara advises. It’ll show you’re a united front, which should discourage your pals from nudging you for details. Another crucial part of rebuilding the friendship is trying to leave what happened between the two of you in the past — otherwise you won’t be able to move forward. “Make a pact with yourself and possibly even with your friend that you will not always go back to bringing up that falling-out,” Yager advises. After a falling-out, it’s not enough to just agree to move on and continue a friendship. 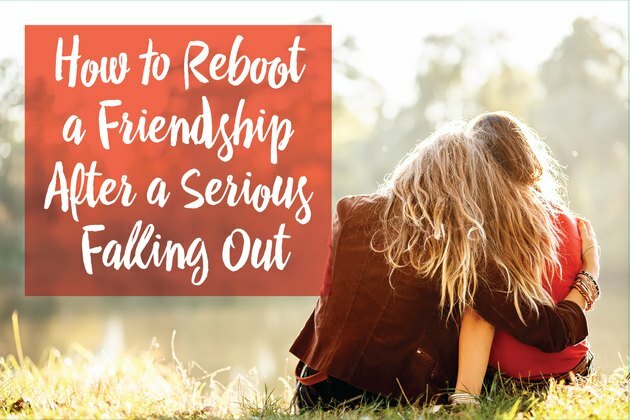 To really reboot your relationship, you’ll want to make an extra effort to show your friend just how much she means to you and how important your bond truly is. Offer help with or take the time to really celebrate any big moments in your friend’s life — like a bridal shower, graduation or promotion at work. Or even just show you care by surprising her with her favorite coffee drink or treat if you plan to meet up at one of your homes or go for a walk. A small gesture like this can mean a great deal. Doing this shows that you intend to work hard to keep the bond positive and current. All friendships take work. 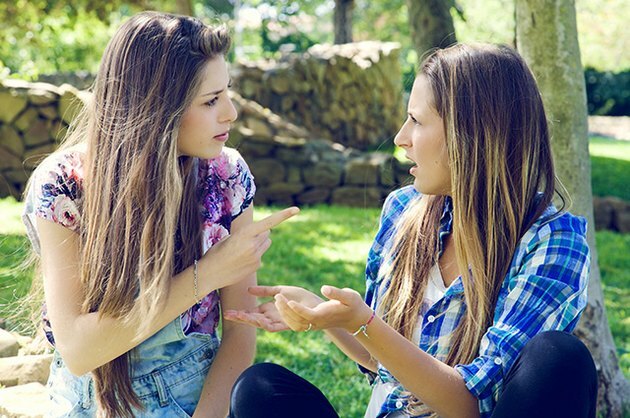 What are some ways that you've resolved conflicts in your friendships? Would you try any of these tactics next time? Which ones? What do you think the most important step in healing a friendship is? Share your thoughts in the comments!